Last November saw our first launch of Toad DevOps Toolkit and since then we’ve seen a steady increase in interest and traction. 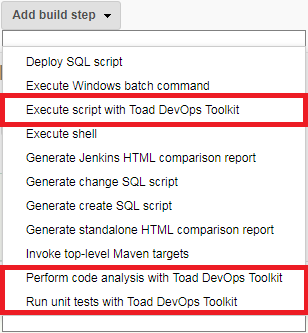 For our latest Toad DevOps Toolkit release 1.1 we wanted to combine the power of Toad DevOps Toolkit with the simplicity of a graphical user interface for use within your Jenkins server. If you’re familiar with Jenkins getting started with the plugin will be very easy. Simply add a build step with one of the new options. 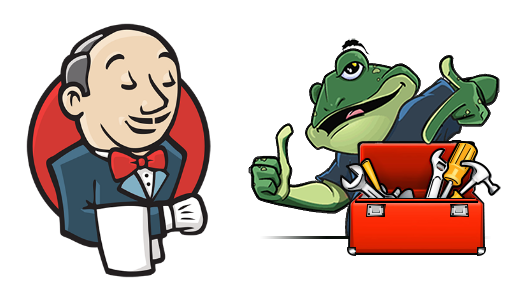 You can grab a free trial of Toad DevOps Toolkit from Toad World and install the plugin from your Jenkins server’s Plugin Manager by searching for “Toad DevOps Toolkit”. Our plugin page contains more information on this. If you have any questions or need help getting started with your Oracle database DevOps pipeline our forum is always available and more information about Toad DevOps Toolkit can be found here. 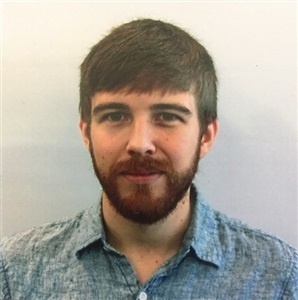 Don’t forget that Jenkins plugins are open source and we welcome and encourage contributions.